Intuition is an integral part of many coach training programs and philosophies, and it is integral to Body-Centered Coaching. It is also a concept, and skill, that many coaches struggle with. In one of my recent tele-trainings, one of the participants asked whether it was possible to ‘build the intuition muscle’, and if so, how? It led to a rich conversation in the call. I believe that intuition is both a gift and a ‘muscle’ that we can grow. Often referred to as ‘gut instinct’ or a ‘sense’ of something; intuition lives in our bodies. A big piece of our work as Body-Centered coaches is in supporting clients to reconnect with their intuition – with the knowing that lives within them. To do that, we must first learn to listen to, and trust, the knowing within ourselves. The only way to do that is through practice. 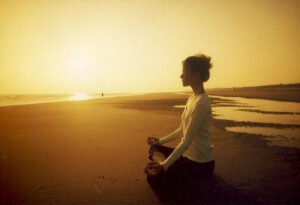 Mindfulness practice – slowing down and paying attention – is a powerful starting point. It is a practice to slow down in this very fast world, and to listen to our bodies and to the soft, still, voice within. The more we listen, the clearer the voice becomes, the more easily we hear and trust the messages. The other part of the practice, as coaches, is to share our intuition; to risk throwing it out there, with no attachment to how it lands. The value of using intuition with our clients is not in being right, but in inspiring curiosity and awareness. If we toss out a ‘hunch’ about what’s going on for our client and we’re right, great – what’s next! If we toss it out, and it doesn’t land – great – what is the truth for that client? Just putting something into the space will prompt the client to awareness – either about what’s resonant for them, or what’s not. The practice of using our intuition with non-attachment can be very freeing. Much like embracing ‘I don’t know’, it takes the pressure off. We don’t have to be right. There is no wrong – whatever we offer out is a gift to inspire forward movement and learning … in whatever direction is the right one for our client. And every time we use it, our muscle grows a little stronger. How do you build your intuitive ‘muscle’? What would support you to use your intuition more often?